Canadian engineered 3 1/2" Vine Maple, Micro V groove on all 4 sides , easy to install with the drop loc clic system. Floating installation on, above and bellow grade. 24 sq.ft/ box. 2 mm of top layer over a hdf core. Create something special and unexpected with this one-of-a-kind work of art. Multiple species, widths, textures and tones combine to capture the essence of reclaimed, weathered wood as random and varied as if crafted by nature it embodies everything Revolutionary Rustics aims to provide in a hardwood floor. Featuring three species and five unique surface textures in a random width installation every box reveals something incredible and unique, with each plank individually crafted using hand staining, sanding and woodworking techniques. In every floor, you'll find wire brushed, scraped, straight and circular saw marks and tool mark textures. Varied width planks, up to 7 long boards and a sliced-face veneer combine to create an upscale, beautiful look. 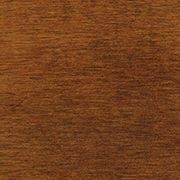 Vine Maple 3 1/2-inch W Engineered Hardwood Flooring Canadian engineered 3 1/2" Vine Maple, Micro V groove on all 4 sides , easy to install with the drop loc clic system. Floating installation on, above and bellow grade. 24 sq.ft/ box. 2 mm of top layer over a hdf core.